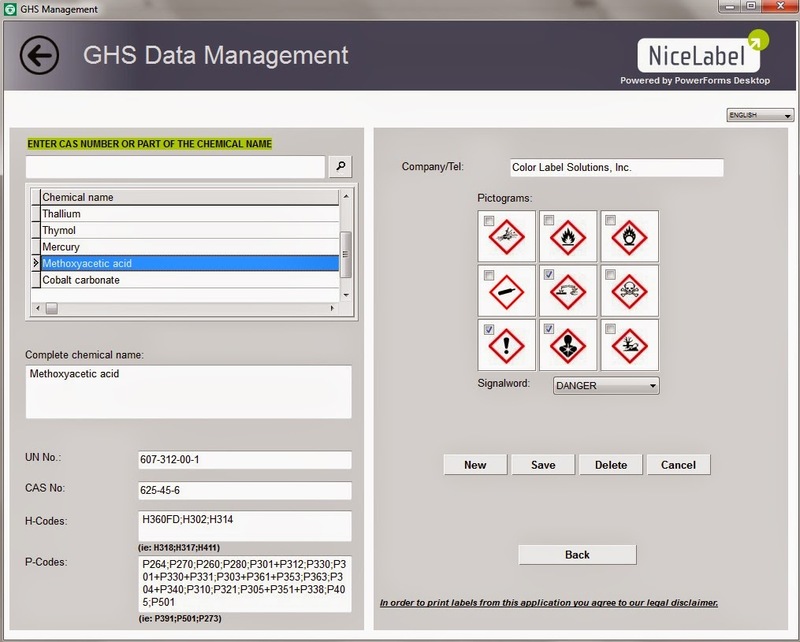 Not long ago, I sold and supported a college deploying a GHS labeling solution for their chemistry lab. This lab needed an easy means to create GHS labels for their packages. 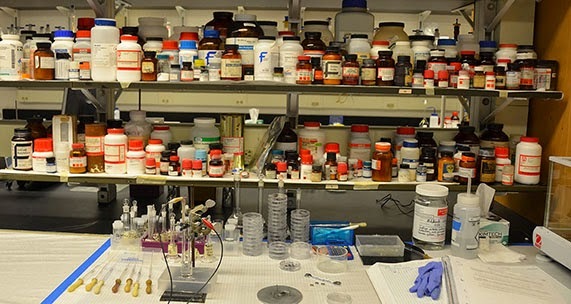 Like most college labs, they repackage into smaller containers for their students to use. In the past, they would hand-write or maybe type onto a label the contents to place on the container. Now under GHS, these containers should have the appropriate content to notify the people handing them of the hazards. 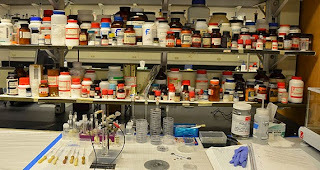 It has taken some work for my college customer to build the label formats for her lab. 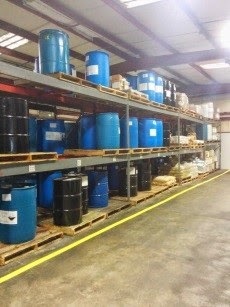 In addition to a college lab, I recently sold and supported a major manufacturer who workers repackage selected chemicals for use on the factory floor. 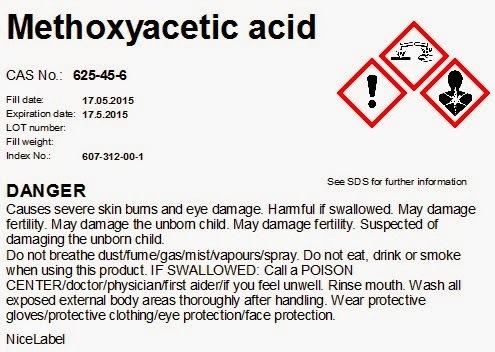 Again, they repackage chemicals from larger to smaller containers. This manufacturer had the capability to build a kiosk to support the new GHS labeling requirements for their employees. 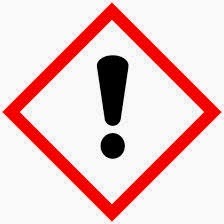 But not every manufacturer or college has the time or knowledge to build a GHS solution. 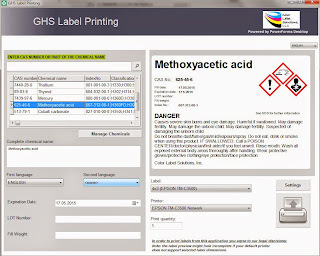 With the understanding of the need of labs such as colleges and manufacturers, we sought an easy to use solution to create and print GHS labels; and created Simple GHS. Perfect for chemistry labs, kiosks for workers who repackage chemicals, companies with a limited number of products and any situation where GHS labels in a standard format are wanted. 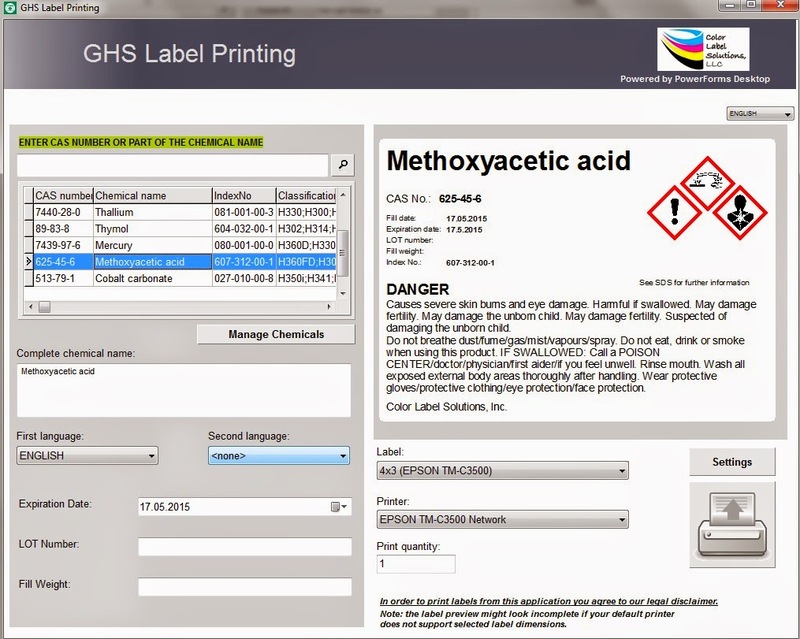 Simple GHS makes it easy for you to print GHS labels. Using Simple GHS is easy. 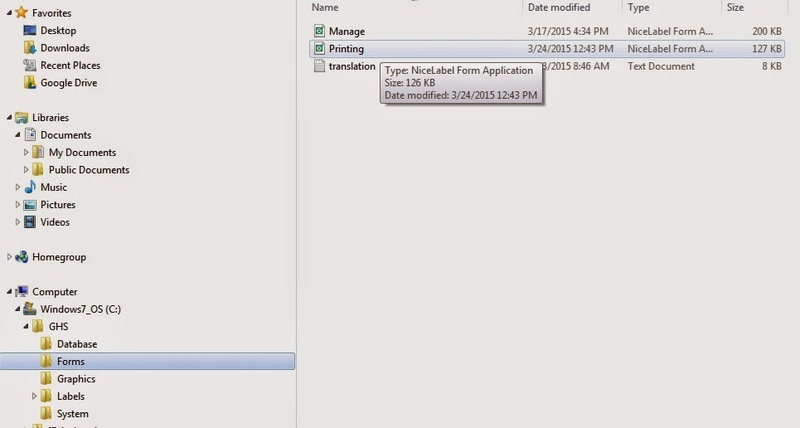 First load the data into the application. 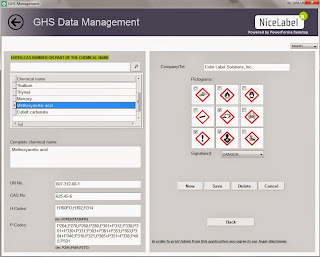 After selecting “Manage Chemicals”, you simply copy and paste the 6 pieces of information from an electronic SDS and select the appropriate GHS Pictograms in Simple GHS. Add your Company/Organization number and telephone number. 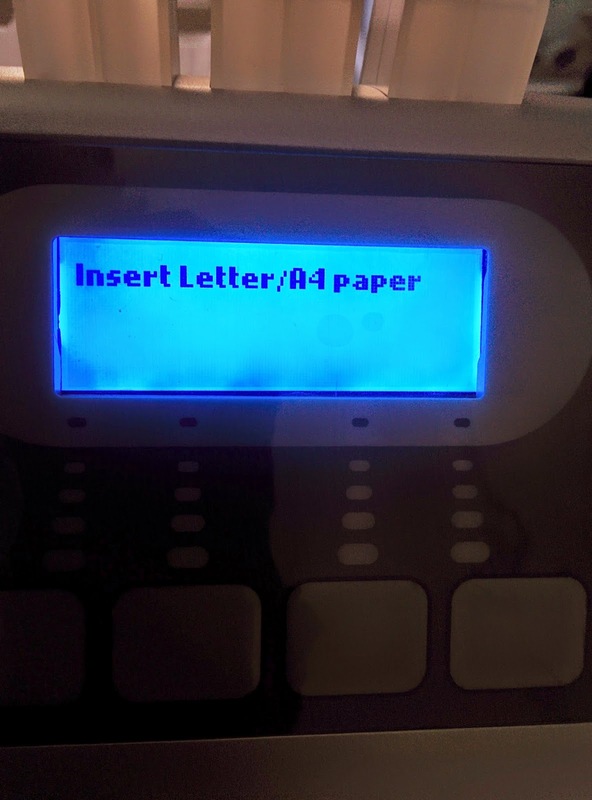 Then save the information and you’re ready to print GHS labels. 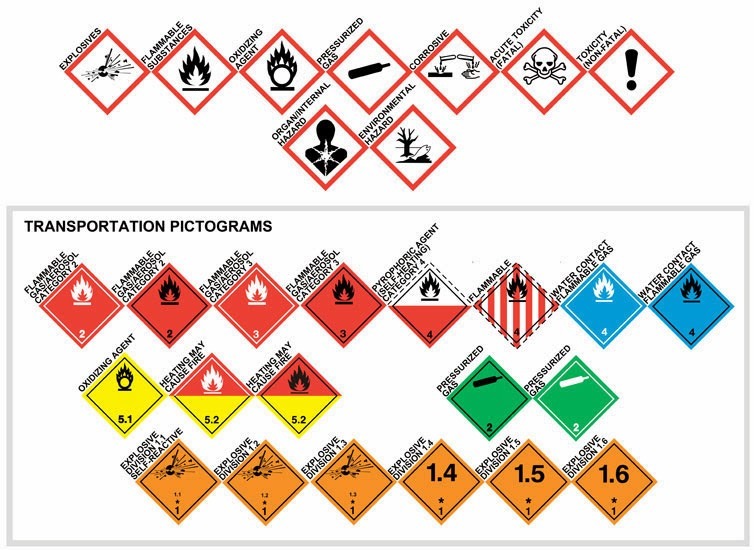 If you have families of chemicals with similar or identical Hazard and Precautionary codes, you can use the first product added as a template; making the next products even easier. 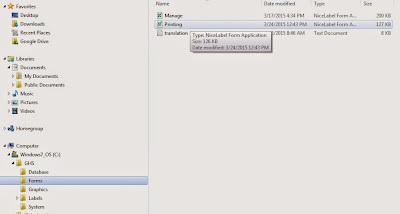 Or if you’re a Microsoft Access expert, you can add the information to the Microsoft Access database that’s incorporated into Simple GHS. 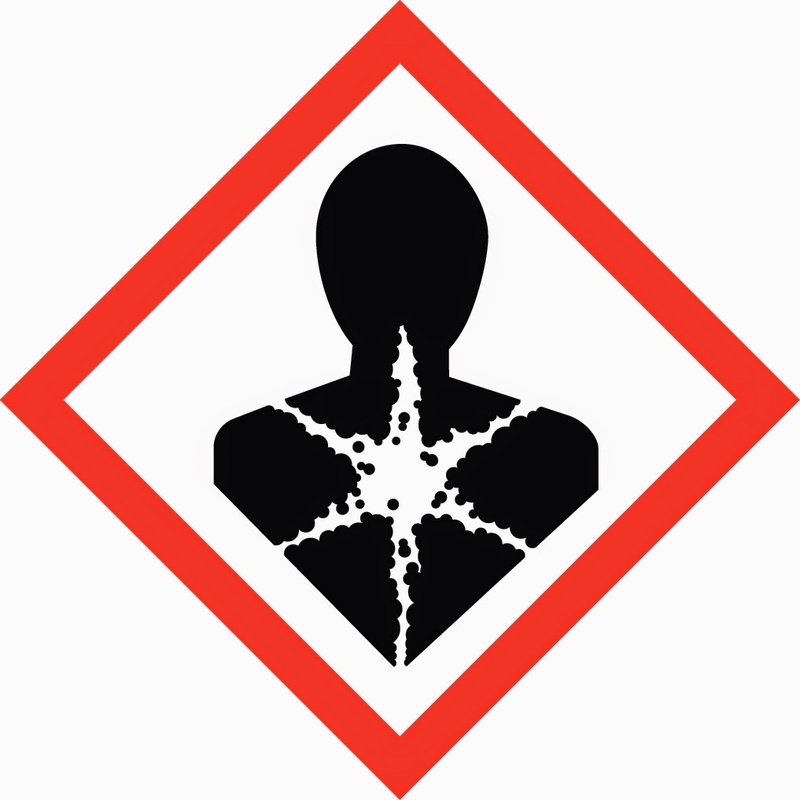 Simple GHS is perfect for organizations or companies that repackage a limited number of chemicals who want a GHS label that is easy to use. Just add the data for your compounds; and print. If you work in one of these types of organizations, contact us to learn more or purchase Simple GHS to start printing your own GHS labels. 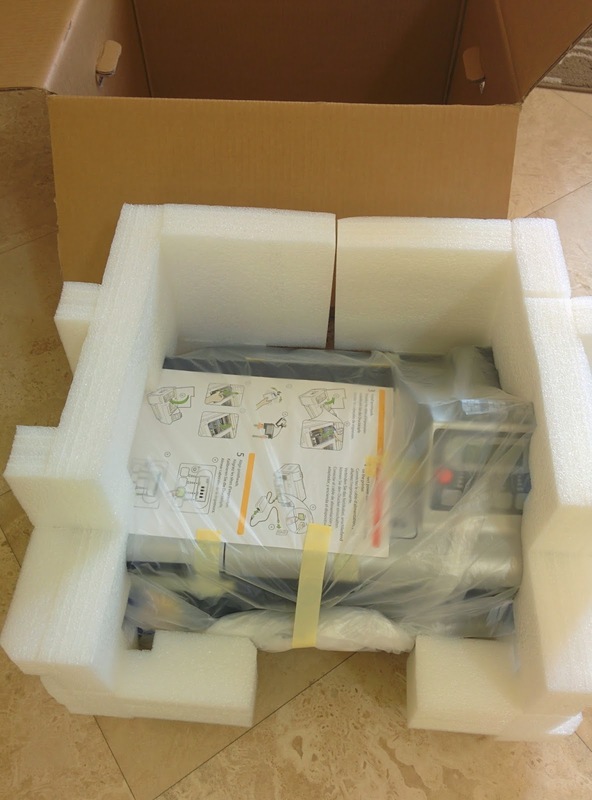 VIP is positioning this printer for GHS labels. However, I was hoping for a printer for durable, high resolution print quality for small manufactures; those companies who need to produce “prime labels” to convey their brand image. 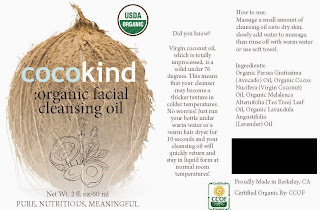 We get calls all the time from start up or small cosmetics, food, beverage, other manufacturers who want to produce great looking color labels on demand. 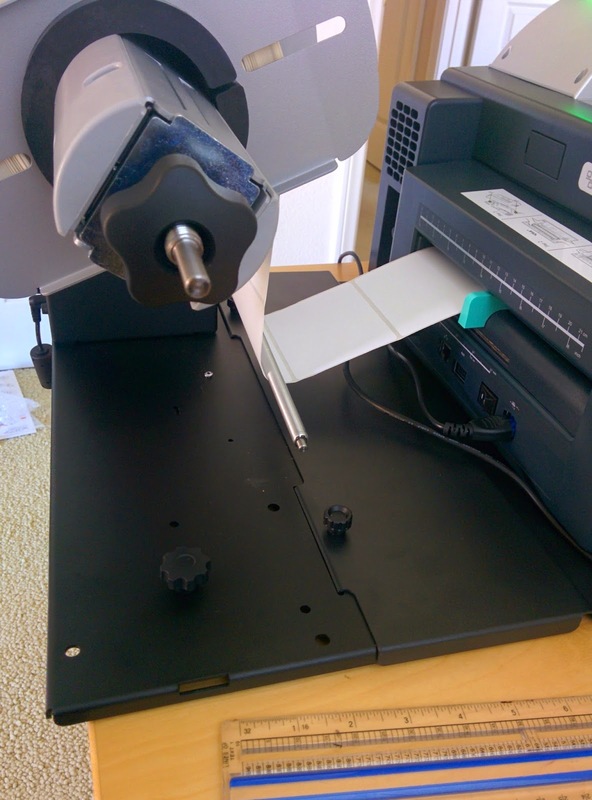 From my testing, I like to share with you what I found, both the positives and negatives, to help you decide if this color label printer is for you. 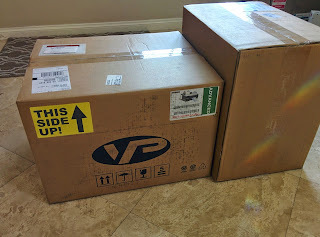 From the time that the printer arrived, I felt the out-of-the-box experience was great. And easy to setup. I did find the labeling of the ink a bit odd as you can see easily the HP label behind the VIP label. Not only the packaging was positive, but I found the setup instructions on line easily; and easy to follow. In the entire process, the only issue I had was setting up the unwinder. I was not confident that I had the printer setting in the alignment plate holes correctly. VIP Tech support suggested I use my finger to gauge the distance on each side of the printer; which made me feel a more confident about the unwinder set up. Overall, the out-of-the-box experience was very positive. Once setup, I had my second positive experience; the print quality was great, enabling me to print full-bleed easily. Below is a 4” x 3” matte paper label printed full bleed. Looked great. To get the labels to print correctly on some materials, I did have to change the settings from matte to gloss. It seems the matte laid down too much ink on both the matte paper and Kimdura. Once the gloss was selected the print looked good. 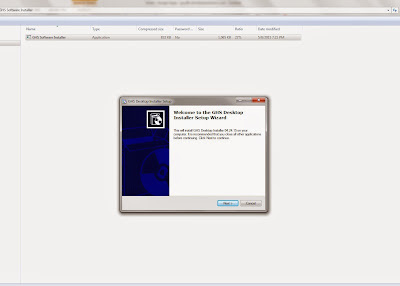 Also, I had to contact tech support to find the setting for continuous media. 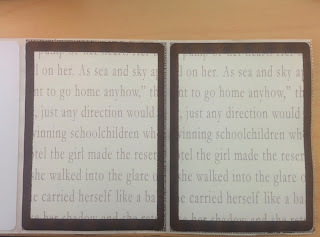 After printing on paper, I printed on Kimdura to test the durability of the ink/media. While testing this combination of label and ink, I found the third important aspect of the VIP 495; the labels printed with the VIP 495 are very durable, withstanding water as well as alcohol, hand sanitizer and acetone. After selling dye based printers, I believe this durability is a key requirement for most every application. Yes; certain manufacturers may be able to use labels made with dye based inks; but labels that run with some water or a common chemical are a real problem. Personally, I’ve wasted a lot of time with printers that use dye based inks. Also while printing, I found the fourth positive aspect of the VIP printer; the menu was easy to follow and use. It seemed a bit “old school” with the button pushes, but was very intuitive. Fifth positive aspect was the driver; created by Seagull. As I use BarTender frequently, the fact the driver was developed by Seagull made it very intuitive. I immediately printed using BarTender; very simple to do. 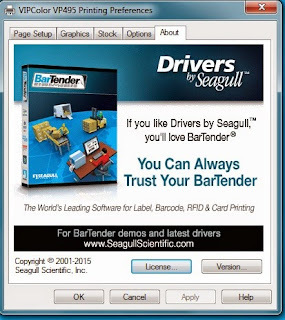 Although I did not use it, the VIP 495 comes with an “Ultra Lite” version of BarTender. Overall these 5 aspects of the VIP495 were very positive. But I found two key negatives with the printer. and connected via USB to my computer, time to first print and eject was between 2 minutes 52 seconds and 2 minutes and 56 seconds. VIP printed the same label and found different results; 49 seconds plus the time to eject the label. I can imagine the delay would be longer or may time-out when connected to a network. I printed this same image via our office network in less than 10 seconds using a TM-C3500. Larger batch runs may make this delay seem less onerous, but would still seem to be a problem in a manufacturing environment. This ink cost does not include the cost of printheads. As I understand, you need to replace the printheads approximately every 36 cartridges. 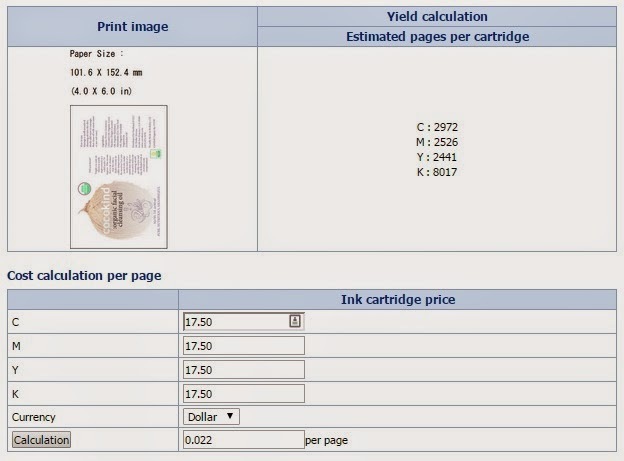 At $125 per printhead, this price raises the cost of an ink cartridge by $3.47. However, the print quality on the C3500 for full bleed, prime labels may not be sufficient. 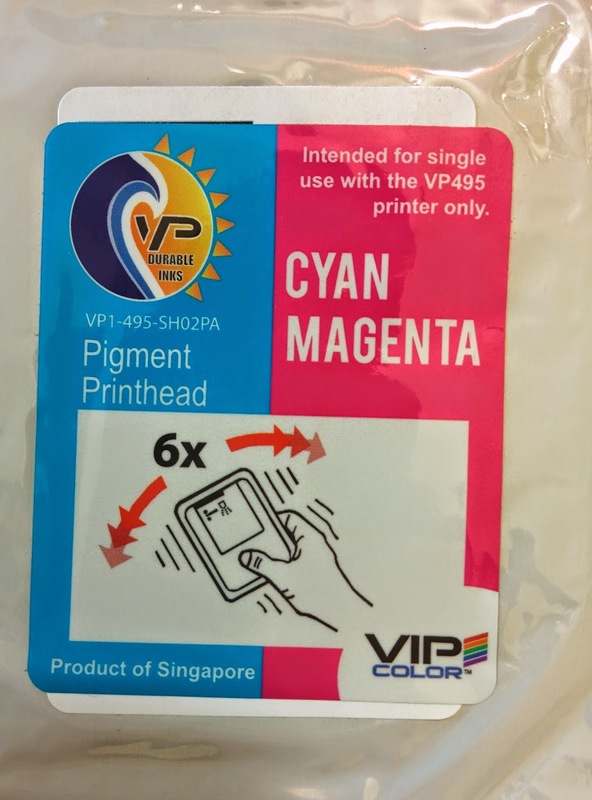 According to Mark Lewis, Director of Sales and Marketing for VIP Printers, "The VP495 prints high resolution images (1200 x 1200 dpi) producing beautiful labels with durability suitable to GHS, outdoor or chemical applications. 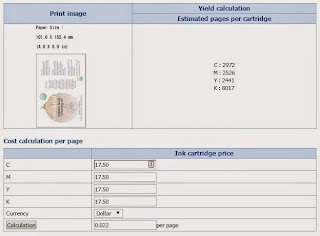 The printer prints up to 8.5" web width on continuous, fan-fold & roll media. It also meets the stringent BS 5609 maritime conditions for durability." 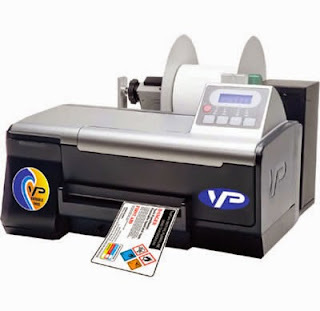 With costs in the range of $0.06 to $.07 for a 4” x 6” with only limited coverage, consumable printheads and a MSRP of $3,500, the VIP 495 appears to be an expensive option for on-demand color label printing. With the VIP 495, the overall summary seems to be the tradeoff between high print quality versus the cost of the ink. 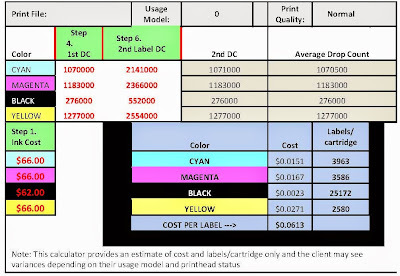 If you need high print quality for your on-demand color labels, the VIP 495 is an option to consider. 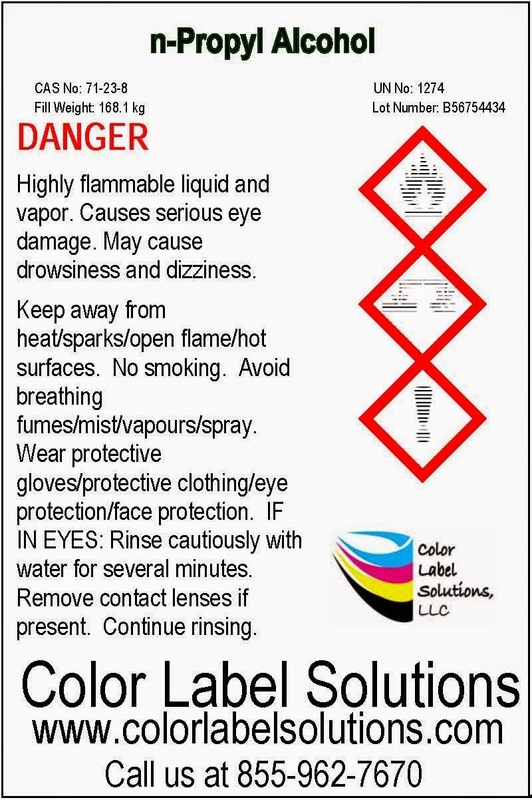 Contact us to discuss your color label printing needs.